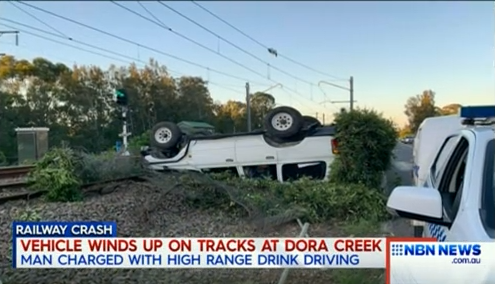 Police allege a Lake Macquarie man was three times over the legal blood alcohol limit, when his four-wheel-drive crashed and rolled onto railway tracks at Dora Creek last night. The 36-year-old lost control of the vehicle on nearby Main Road. He was arrested and allegedly returned a blood alcohol reading of point-153. The man’s been charged with high range drink driving, and will face court next month. After studying a BA in Communication and Journalism at UTS, Georgia moved into health and aged care reporting for three years. She also studied broadcast journalism at California State University, Sacramento and The Australian, Film, Television and Radio School in Sydney. An interest in social business took her to India to direct a series of micro documentaries.